Remodeling a kitchen can be a practical decision when things are starting to fall apart and not work so well, or it can be an aesthetic decision based on a desire for a new look. 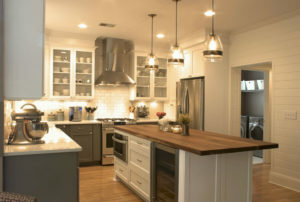 Honolulu kitchen remodels also have a good return on investment when it comes time to sell your home. Kitchens come in lots of shapes and sizes and can be remodeled in a number of different ways. These are some basic tips ranging from fairly general to very specific that apply to a lot of kitchens and which can help your remodel go smoothly. It is natural to want to move quickly once you have decided to go ahead with a kitchen renovation. However, proper kitchen remodeling requires spending a fair amount of time assessing your needs and deciding on the best options. This is not wasted time and will contribute significantly to the value of the final result. Consider it an investment on the final return. Fancy kitchen appliances can be appealing to the eye but unless you are a gourmet chef in your spare time it is unlikely they would get used very often. Most people will be happy with well-rated, highly reliable but basic appliances from reputable brands. The money you save can be used to buy nicer cabinet fronts, hardware fixtures or decorative details that everyone who sees the room can appreciate. It is your kitchen and it should be done according to your vision. Of course it is important to always remain polite but there should be an open line of communication between you and your contractor. If you don’t think that they understand what you want, ask them to explain it back to you. Don’t be afraid to speak up. If your remodel is a larger project you will probably need a design and plans. However, smaller remodel projects can benefit from the experienced touch of a professional as well. A design build contractor can take the burden of supervising the remodel off your hands and ensure that the subcontractors perform the job they are supposed to. This can save you money by ensuring that the job is done right the first time. Luckily, people considering kitchen remodeling in Honolulu have access to a reasonably priced, experienced professional option.